Lead generation is crucial if you want to boost your sales. A great landing page can be a very effective way of generating leads through collecting personal info and establishing contact with prospects. But do you know how to increase traffic to your landing page and boost the conversion rate? This article gives an answer to this question through 7 effective ideas that will help you stand out from the competition. Poor design is the fastest way to make visitors leave. A great landing page needs a clear and simple design that inspires confidence. When creating calls-to-action, you need to keep in mind your users. What do you want your users to do next? How can you make it easier for users to take the desired action? Creating an effective CTA is not easy at all because you need to consider many options related to its design, location, and copy. Make your CTA a clickable button, rectangular in shape. Make it stand out from the rest of the elements on the landing page by using a contrasting color. Place the call-to-action where people expect it and where they can see it. It should be large enough to be noticed, but still not too large to annoy your visitors. The CTA’s copy should be short and simple. Use action words, first person words, and words that create urgency. Don’t ask users to write. Instead, use checkboxes, buttons, or quizzes. Only ask for the information you absolutely need (first & last name, email, phone) to keep the process short. Highlight what your users will get (newsletter, e-book, free trial) by signing in or leaving their personal info. Make sure your form is optimized for mobile or consider creating a mobile app (an online app builder can help you do it on your own). People today spend most of their spare time on their smartphones so not being mobile-friendly can cost you a lot of leads. The value proposition is the element which determines whether visitors will want to find out more about your service/product or leave the page. If done right, your lead generation will skyrocket. Make your value proposition the first thing people see when they visit your landing page. Adding testimonials from customers on your landing page is a great way to build trust. And building trust is the best way to get visitors to take the necessary action and convert into leads. Research has shown that more than 90% of consumers read online reviews and 88% of them trust reviews as much as recommendations from people they know. Customer testimonials build trustworthiness, credibility, and reliability. When used right on your landing page, they can increase your lead generation rate significantly. Get the testimonials from real customers. Add the person’s name and photo (or even a video) to make the testimonial more credible and powerful. Make sure your testimonials are linked to social media profiles that can be easily verified. Place the testimonials prominently on the landing page, taking care not to take the focus off the CTA button. Creating a deadline (whether real or fictitious) will make your offer more tempting and urge visitors to make a decision faster. Imply urgency by using certain buzzwords in your copy, such as: now, today, soon, fast, hurry, close, final, ending, instant. Create a sense of scarcity to appeal to consumers’ FOMO (fear of missing out). For instance, highlight how popular your product is or indicate when your stock is running low. Create urgency visually, by using the right color, images, and layout. For instance, red is a color that immediately attracts attention and creates a sense of urgency. Performing an A/B test will allow you to measure the performance of your landing page by comparing two different versions. 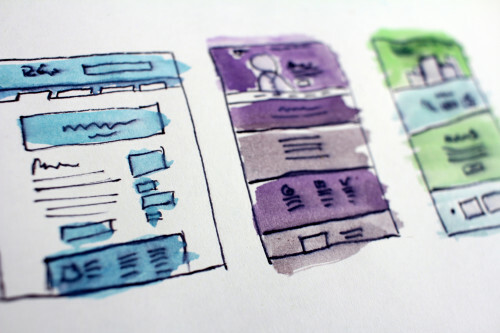 You can test different elements on your landing page: the form, the CTA, the colors you use, the wording of your offer, the questions you ask, or even how you ask them. Use testing tools such as Unbounce or Maxymiser to create two variations of your landing page, then direct part of the traffic to page A and another part to page B. The results will tell you which variation performed better and whether you need to make any changes. If you want to skip all these steps and make things easier on yourself, consider buying an established website with a landing page that already has these elements.